Lockjaw is a painful condition that makes it difficult to open or close the mouth. Often associated with tetanus, lockjaw can be caused by many other factors. Luckily, it’s easy to treat. Lockjaw, a symptom of tetanus, can result from such causes as too much chewing, noshing on tough foods like bagels), TMJ disorder, and jaw pain. Have you ever been awakened with searing pain in your mouth or an inability to open your jaw? It’s a scary experience and, according to the National Institute of Dental and Craniofacial research, one that’s not totally uncommon. 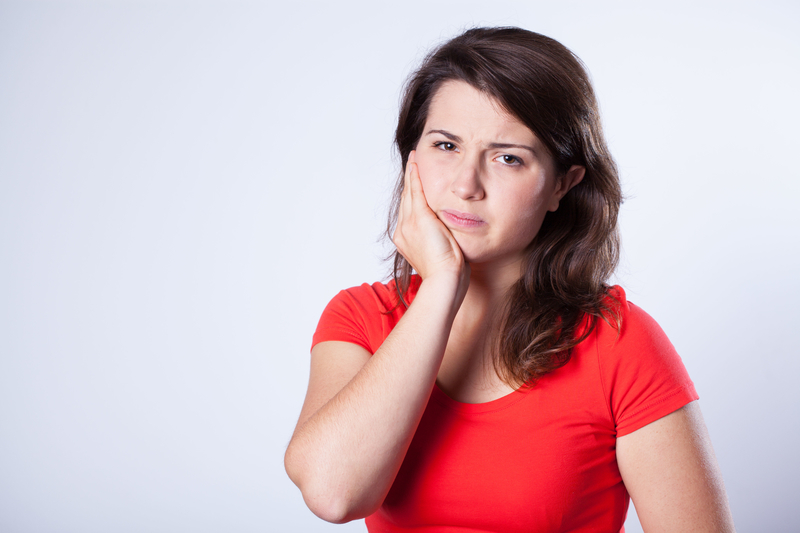 More than 10 million Americans suffer from a temporomandibular joint disorder (TMD), a symptom of which is lockjaw. This painful medical condition causes swelling, pain, and dysfunction in the temporomandibular joint. The result of this inflammation: Your jaw feels “locked” due to muscle spasms and inflammation, leaving you unable to open or shut normally. Lockjaw typically affects only one side of the jaw. The good news: Lockjaw is relatively harmless and treatable, as long as it isn’t associated with tetanus. Read our sidebar “Lockjaw vs. Tetanus” to learn more about this rare disorder. In other words, surges and depletions in estrogen caused by things like PMS and menopause can affect pain and swelling—hence the reason it affects more women than men. The main symptoms of lockjaw include pain and inflammation, which lead to a “locked” jaw that cannot open or close properly. Other symptoms include: pain in the head, face, neck, and shoulders, chronic migraines, teeth grinding, popping sounds in the jaw while chewing, hearing problems, blurred vision, and in some cases, jaw dislocation. Misaligned teeth: Think of your mouth as a table, suggests Dr. Rodriguez. If the legs don’t line up properly, your table will rock. If you have a misaligned bite (e.g., your teeth are in the wrong position or your arches don’t line up), your “table” will wobble, he explains. “Your mouth always has the desire to create stability, so your muscles are always trying to constantly adjust.” The result: The muscles become overworked, which will contribute to jaw dysfunction such as lockjaw. The one thing these bad habits all have in common: They can contribute to pain and swelling of the jaw as well as damage to teeth, which can cause a misaligned bite. The term lockjaw also can be used to describe tetanus, a serious bacterial infection that causes stiffness in the jaw and neck. It frequently progresses to other parts of the body and can be fatal if left untreated. One of the first symptoms of this disorder is stiffness in the jaw. This condition is serious and requires immediate treatment. Those who are up to date with their tetanus shots and have symptoms related to a TMJ disorder should rest easy. Their lockjaw is most likely related to a temporomandibular joint (TMJ) disorder, which means it’s treatable and not life-threatening. The first step in treating lockjaw is to visit your dentist, Dr. Price says. First, your dentist will attempt to determine the cause of lockjaw. For a patient whose bite is misaligned, a dentist likely will alter it by fixing or replacing missing teeth, crowns, or fillings. If the cause is an infection (e.g., tetanus), the patient will require medication (or a vaccine, antitoxin, or tetanus immune globulin in the case of tetanus) to try to treat it. If the jaw is dislocated (which is extremely rare) the dentist may put it back in place. Medications: Those with more severe symptoms may require medication (e.g., anti-inflammatories) to help reduce inflammation. Manual Therapy: Similar to massage therapy, someone trained in intraoral massage can help relieve the tension and tightness caused by over and underactive muscles, he explains. arthritis, bacterial infection, chronic migraines, diet, estrogen, fibromyalgia, health, hearing, hearing problems, home remedies, infection, inflammation, jaw pain, massage, migraines, muscle, muscle spasms, pain, pain management, pms, potatoes, reduce inflammation, stress, supplements, supplements for inflammation, tmj disorder, tooth pain. I thought you might be interested in this article on https://universityhealthnews.com: Lockjaw: What Causes It, and How Serious Is It?